What Is a Good ISEE or SSAT Stanine Score? The SSAT and ISEE are the most commonly used admission tests that private schools use to assess a candidate's readiness to handle the work at their schools. The scores help schools evaluate candidates from a range of schools to understand how they compare to each other. Testing organizations break down student assessments into stanine scores, which use a scoring system of nine groupings that helps eliminate small differences in scores and better compare results. Testing scores for many students who are accepted to private school average in the 60th percentile, while more competitive schools may favor scores in the 80th percentile or higher. Keep in mind that the SSAT and ISEE scores needed for admission at different schools will vary. Some schools require higher scores than others, and it's hard to know exactly where the "cut-off" score lies (or even if a school has a specific cut-off score). 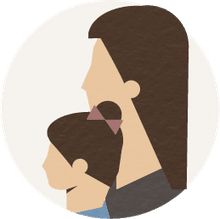 What If My Child Doesn't Receive a Top Score? Students who take the ISEE or SSAT are usually high-achieving students and are compared to other high-achieving students. This can make it hard to always score in the top percentiles or stanines on these tests. In other words, a student who scores at the 50th percentile on the ISEE or SSAT is about at the middle of students applying to private school, a group of generally high-achieving kids. Such a score doesn't mean that the student is average on a national level. Keeping these facts in mind can help reduce some of students' and parents' stress around testing. Stanine scores below 5 are below average, and those above 5 are above average. Students receive a stanine score in each of the four sections: Verbal Reasoning, Reading Comprehension, Quantitative Reasoning, and Mathematics. Higher stanine scores in some areas can balance out lower scores in other areas, especially if the student's academic transcript shows solid mastery of the material. Many schools acknowledge that some students just don't test well, and they take into account more than just the ISEE score for admission, so don't fret if scores aren't perfect. How Important Is a Standardized Testing Score? Schools consider a wide range of factors in admission, and the importance of standardized test scores can vary. Some schools implement strict cut-off scores while others use scores as a secondary evaluation. The importance of a testing score can increase when two students have similar profiles; if testing scores are drastically different, it can help a school make an admission decision. Schools may also show concern if scores are very low, especially if schools have other reservations or considerations about the student. However, sometimes a student who has low test scores but great grades, strong teacher recommendations, and a mature personality will still be admitted to a competitive school, as some schools recognize that smart kids do not always test well. The SSATs are scored differently by levels. The lower-level SSATs are scored from 1320 to 2130, and the verbal, quantitative, and reading scores are from 440 to 710. The upper-level SSATs are scored from 1500 to 2400 for the total score and from 500 to 800 for the verbal, quantitative, and reading scores. 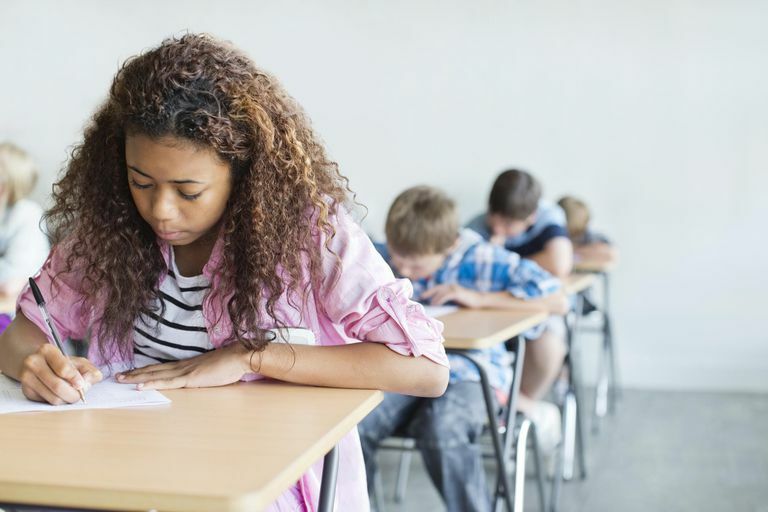 The test also provides percentiles that show how a test taker's score compares to other students of the same gender and grade who have taken the SSAT in the past three years. For example, a quantitative percentile of 50 percent means that you scored the same or better than 50 percent of the students in your grade and of your gender who took the test in the last three years. The SSAT also provides an estimated national percentile rank for grades 5–9 that show where the student's scores stand in reference to the national population, and students in grades 7–10 are provided with a predicted 12th grade SAT score. What Does the ISEE Measure and How Is It Scored? The ISEE has a lower-level test for students currently in grades 4 and 5, a middle-level test for students currently in grades 6 and 7, and an upper-level test for students currently in grades 8 to 11. The test consists of a verbal reasoning section with synonyms and sentence completion sections, two math sections (quantitative reasoning and mathematics achievement), and a reading comprehension section. Like the SSAT, the test has an essay that asks students to respond in an organized fashion to a prompt, and while the essay isn't scored, it is sent to schools to which the student is applying. The score report for the ISEE includes a scaled score from 760 to 940 for each level of the test. The score report includes a percentile rank that compares the student to the norm group of all students who took the test over the last three years. For example, a percentile rank of 45 percent would mean that the student scored the same or better than 45 percent of the students in his or her norm group who took the test in the last three years. It's different than scoring 45 on a test, in that a percentile rank compares students to other similar students. In addition, the test provides a stanine, or standard nine score, that breaks all the scores into nine groups.